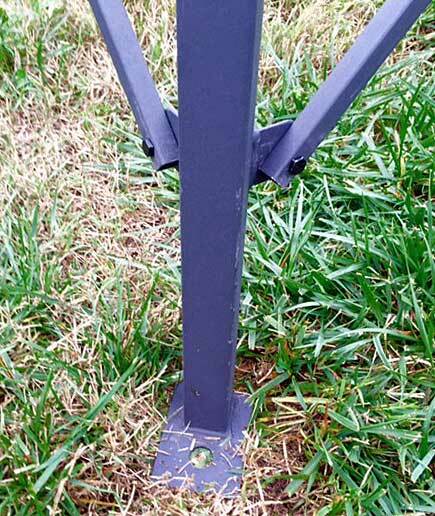 Our custom-designed towers are powder-coated steel with built-in nine-inch levelers on each leg/ladder. The tower has a foot plate on each leg that can be anchored with a metal stake. These additions will certainly protect your box blind from bad weather, and, more importantly, they will give you the height and improved visibility necessary to spot those elusive deer! 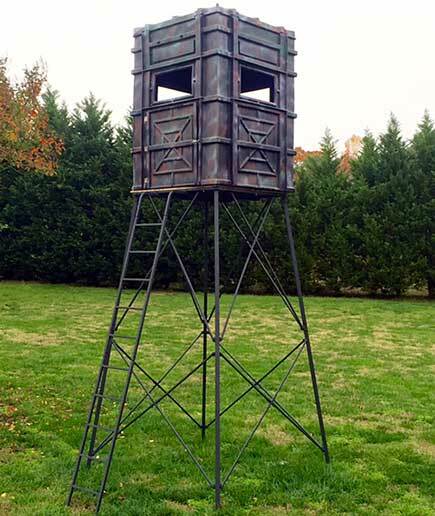 Interested in purchasing one of our hunting blinds and/or towers? Have additional questions? Want to become a dealer? CONTACT US! Interested in upgrading your blinds to include one of our additional features? Trying to assemble your blind and need more details? Need examples of how well these box blinds work for others? This site is used for promotional purposes to market hunting supplies and accessories sold by Hughes Products Company from Thomasville, North Carolina.